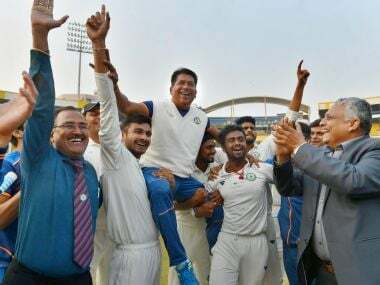 Vidarbha coach Chandrakant Pandit, captain Faiz Fazal and Man of the Final Aditya Sarwate talk about the team's journey to two successive Ranji titles. Last week there was hardly any substantial background information available about Aditya Sarwate, Vidarbha’s left-arm spinner, on the internet. Now, after a 'Man of the Match' award against Saurashtra in the 2018-19 Ranji Trophy final, you will find a touching story on how he supports his mother in running the house and taking care of his father, who got paralysed because of a car accident in Mumbai and has been bedridden for over 20 years now. It is conflicting at different levels to see a person who you looked up to in a helpless condition, and yet keep the fire burning within you to achieve your dreams. It keeps things in perspective. "He has seen so much struggle in life... but he was so focussed — and all that trouble matured him early. He understands life. The accident changed him completely," Anushree, Sarwate’s mother was as quoted saying to The Indian Express after the penultimate day’s play. "He is the one who gives me the courage, hausla, sometimes I lost hope but he never did. All I can say is that I wish every mother gets a son like him." 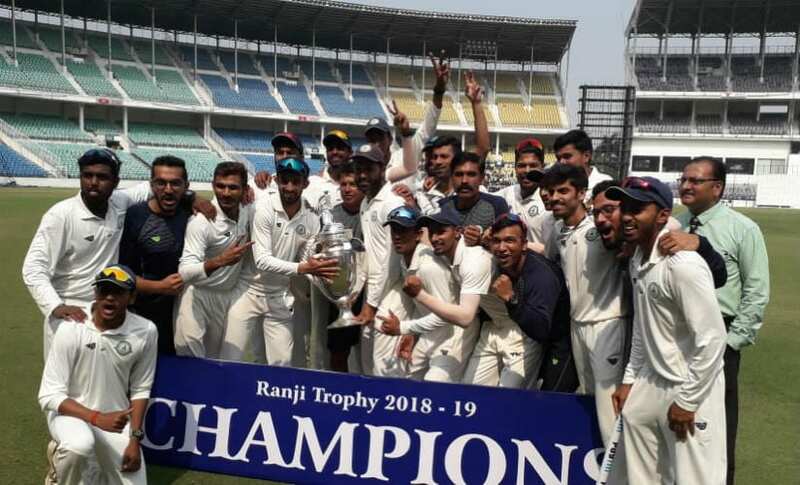 Sarwate has given his father, who always wanted him to be a cricketer, a fitting gift by stamping his authority on the final as Vidarbha became the sixth team to successfully defend the Ranji title. His 11 for 159, including the scalp of Cheteshwar Pujara twice, made him only the sixth player to record a 10-wicket haul in a Ranji final. He also made 49 from No 8 in the second innings after Vidarbha were reduced to 105 for 6, helping the defending champions set Saurashtra a challenging target of 206. To top it all off, he is now the first Vidarbha bowler to take 50 or more wickets in one edition of Ranji Trophy. Having gone through such ordeal, it was not surprising that Faiz Fazal, Vidarbha’s captain, rated Sarwate’s character highly. "I have always said that is a man for the crisis. He will always perform in the crisis," Fazal said at the post-match press conference. "Hope he goes to get selected for India. He is definitely an India material." Sarwate was not the only star for Vidarbha in the final. Akshay Karnewar made an unbeaten 73 in the first innings after they had become 139 for 6, Akshay Wakhare finished with seven wickets and chipped in with valuable runs, Ganesh Satish and Mohit Kale made substantial 30s in both innings, and the tenth-wicket pair added 35 crucial runs in a game where Vidarbha prevailed by 78 runs. Such is the beauty of team sports that in a final that was promoted around Cheteshwar Pujara, Umesh Yadav, Jaydev Unadkat and Wasim Jaffer, the smaller names made the difference at the end. Chandrakant Pandit, Vidarbha’s coach, hailed his unit’s resolve in crunch situations. "Every final is important, and naturally to maintain that reputation is very important. So, this final is very important considering the way the team played last year," he said even while crediting every single person who has played a role in this journey. "The way this final was played, the character inside cricketers played a big role. The game was up and down, there was uncertainty in the game. But the players showed character each time. I give a lot of importance to that. "Every state thinks about winning the Ranji Trophy when the season starts. In our quest, even the people who participated, the club bowlers who would bowl for two hours to our players at the nets, we should not forget them," he added. "Last year, we sealed the game in first innings against Delhi, in the Irani Trophy too we sealed the game that way. But here, our character was shown. The Vidarbha players will learn from this and continue with this and that character will remain." He said that it was only after the last wicket fell on the fifth morning that he was at ease. "You saw how they put on 60 for the last wicket in the first innings. Nobody relaxed till the last wicket fell. When the ball was getting soft on this pitch, it wasn’t offering much to the bowlers. Fortunately, the ball we had went out of shape and it was changed, so we got a harder ball too. But credit to all these guys... Everyone played their roles very well." Pandit has done his research to conclude that the team’s character is here to stay. 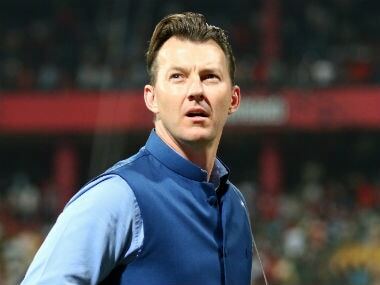 When he first met Prashant Vaidya, Vidarbha’s vice-president and the man chiefly responsible for putting a solid structure in place after taking up the role last year, they analysed the players before deciding on the route. "When Prashant and I met on August 7 last year, without Faiz, when I spoke to the probables, we could judge three types of players — one who is thinking of playing cricket, one who is happy to be in the team and one who wants to play higher class of cricket. That study helped us," Pandit elaborated. "We needed to make a plan based on that study. We gradually started developing the team. The mindset changed. The winning mindset, once this is sorted out, the team will always think of winning the tournament. 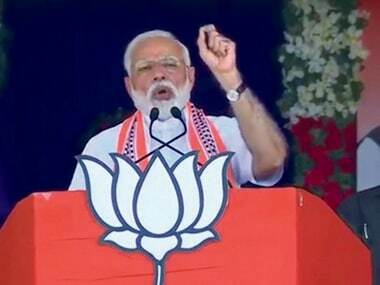 "Ek humari soch hogi, tho woh soch hai. Humari soch badalni hai, uske upar mein stress kiya thaa. Yeh word chota sa hai. Yeh soch lana easy nahi hai (We needed a thought process, and I stressed about the need to change the present thinking. It’s a small word, but it is not easy to bring that)," he added. "It was not very difficult once you understand the person and the culture." Once Pandit took complete control, it was his way completely. "Chandu Pandit is very strict. I talk with a lot of emotion, and some people don’t like the way I operate, but I understand it is my job," he said of himself. “My way of doing things is different. I might also slap Faiz, and there will be a reason behind it. Don’t take it wrongly, but that is a process that takes you close to destination." Vaidya said that he took time to convince Pandit, and was not going to interfere in his style of operation once he came on board. "After getting him here, if I get complaints about him, I have no right to object. Because we got him here knowing his methods and his coaching. He understood that, that he would get to follow his method in Vidarbha. I knew where we lacked from my playing days, and he was right person to fill that. "But credit to the players also for the way they responded. If you get a good teacher but the students refuse... Players had that calibre in my playing days too, they had that skill, but it had to be bonded. With Chandu coming in and the players responding, that bonding happened. That is why we have the results." Fazal credited Pandit’s "strict discipline routine for two years" because "our team was such that it was necessary to be a little strict so that everyone pulls in the same direction, that ‘we want to win the trophy’. That direction changed us from individual performance to team goal." Pandit had sleepless nights and butterflies in his stomach during the final, sometimes calling Fazal to his room for planning at 9.30 pm and at times waking up at odd hours. He and his wards have a few days to rest before the pursuit to defend the Irani Cup begins on 12 February.